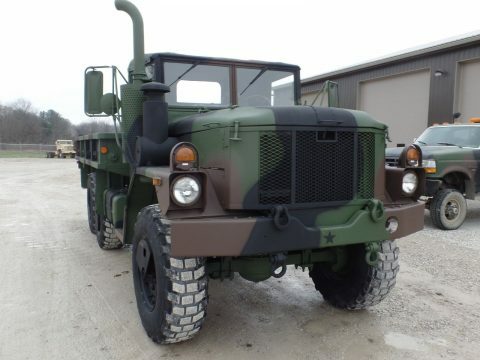 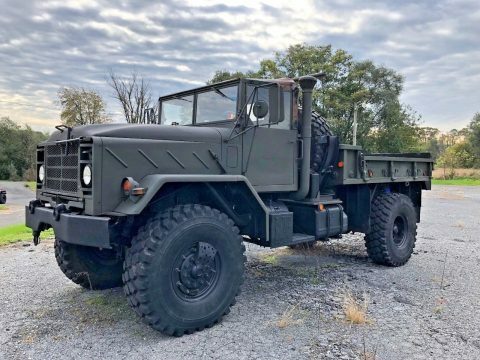 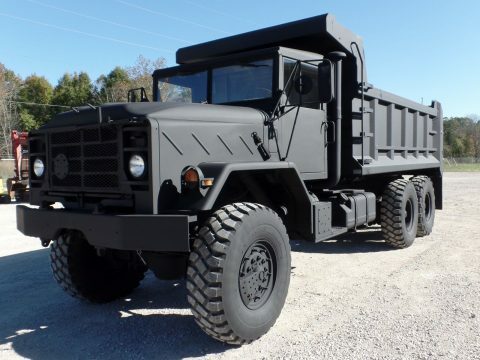 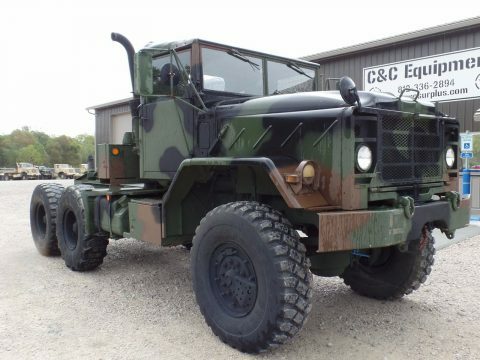 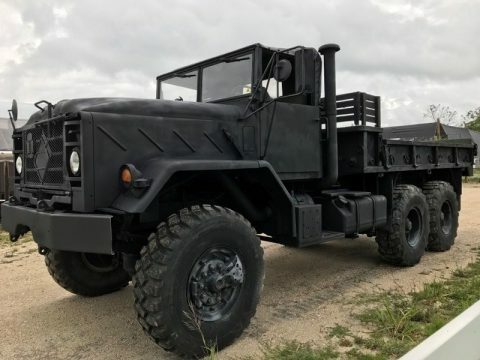 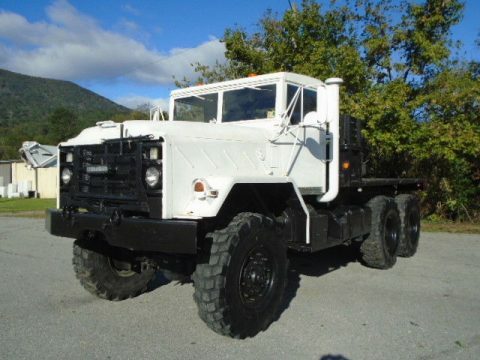 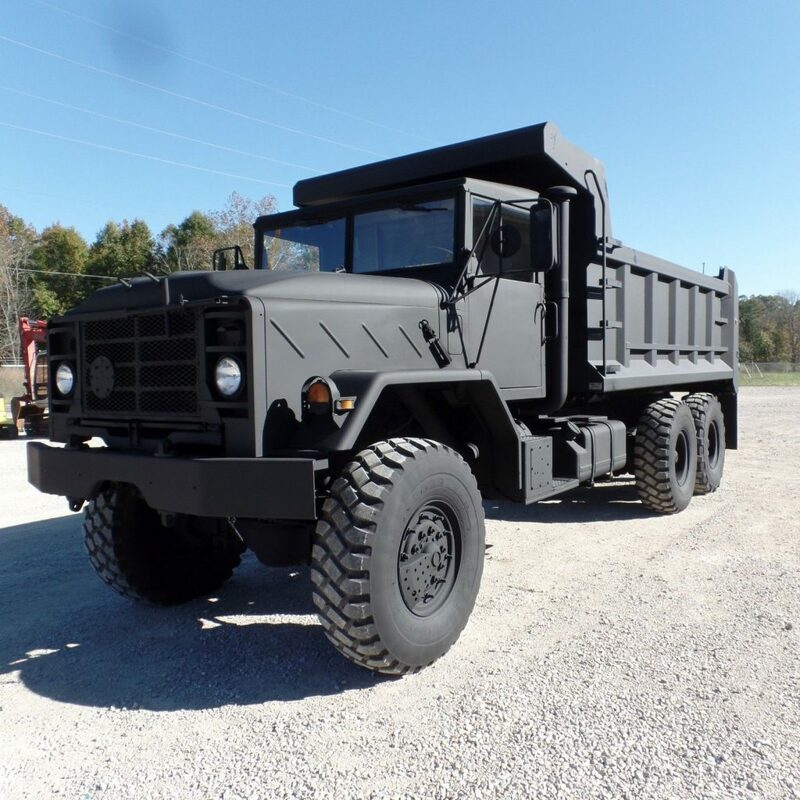 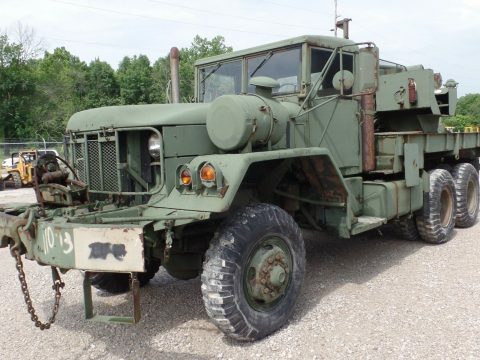 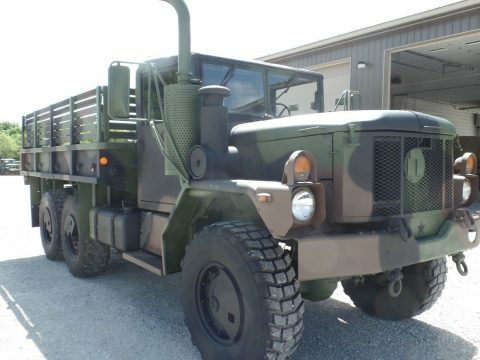 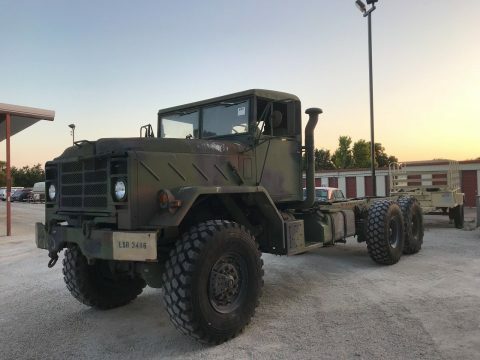 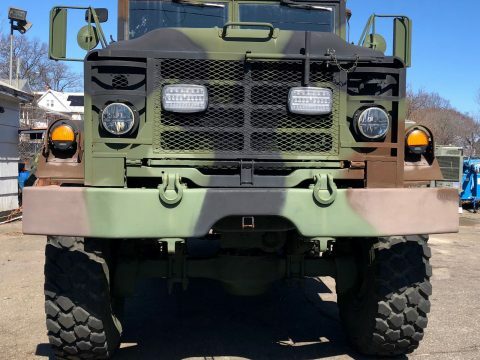 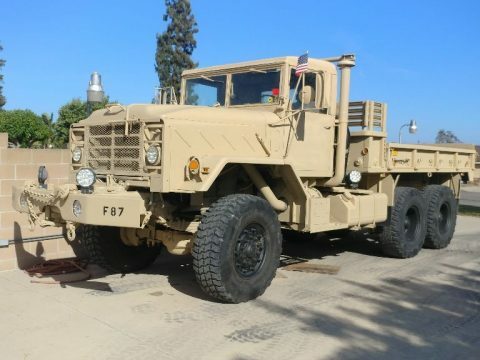 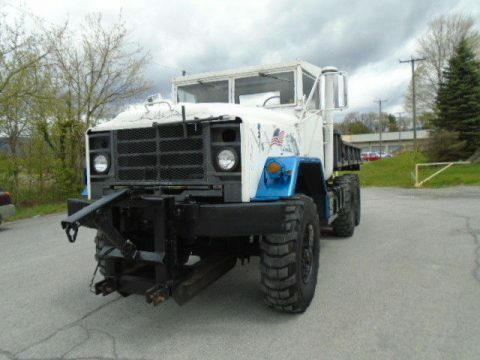 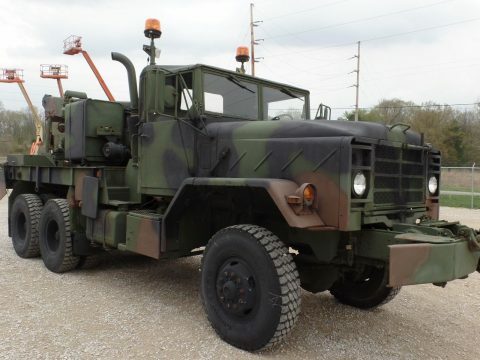 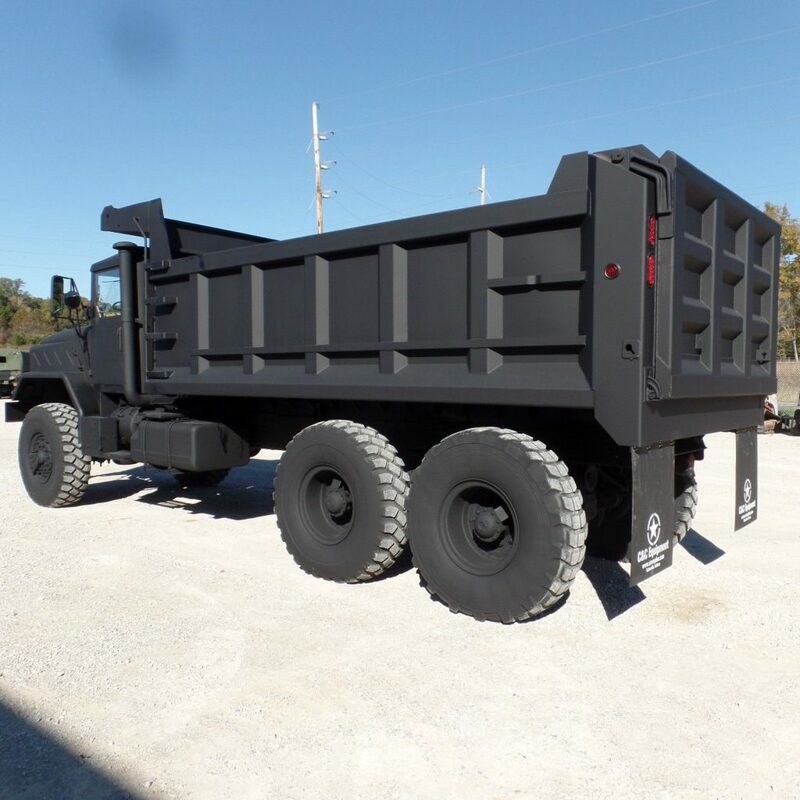 1990 AM General 5 ton M934A2 dump truck with a hard top . 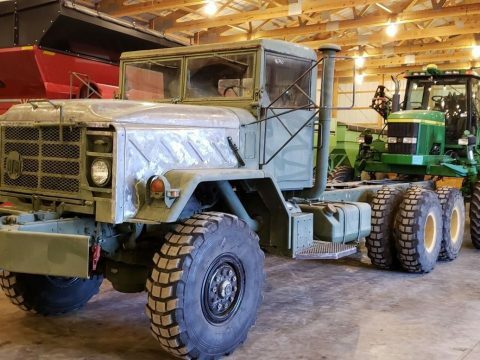 It is showing ONLY 7600 miles and 250 hours of operation! 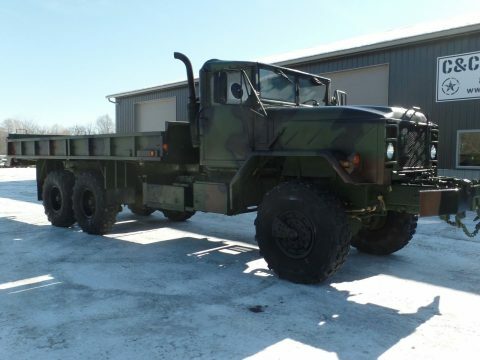 Also It has a newer 2010 government updates, plenty of life left in this very clean truck. 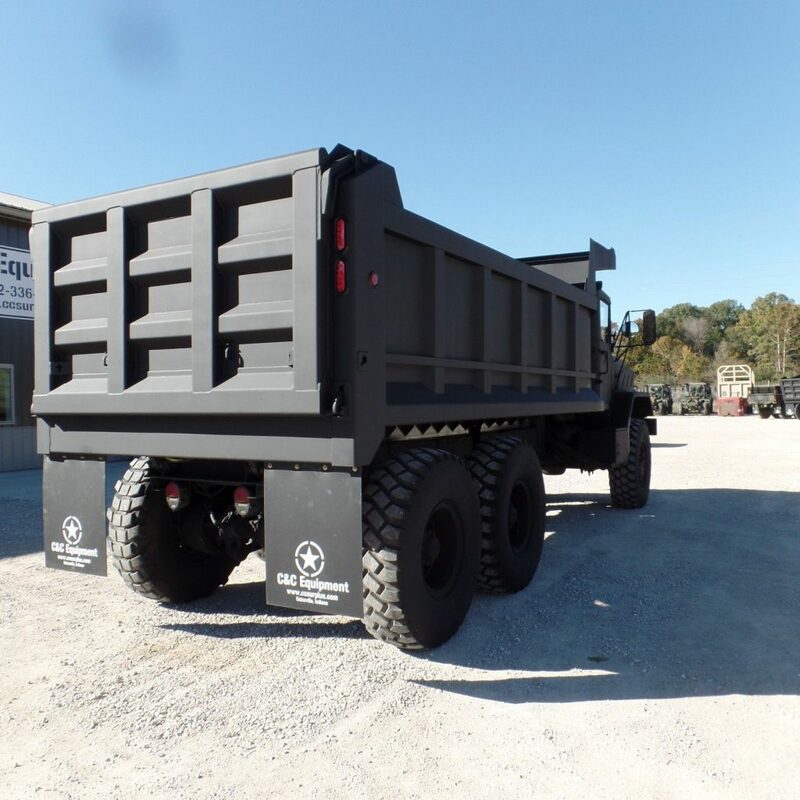 We have installed a new Rowe 16 foot dump bed with all new pto, 5 stage dump cylinder, Pto shift tower, Air tailgate that can be operated inside the cab. 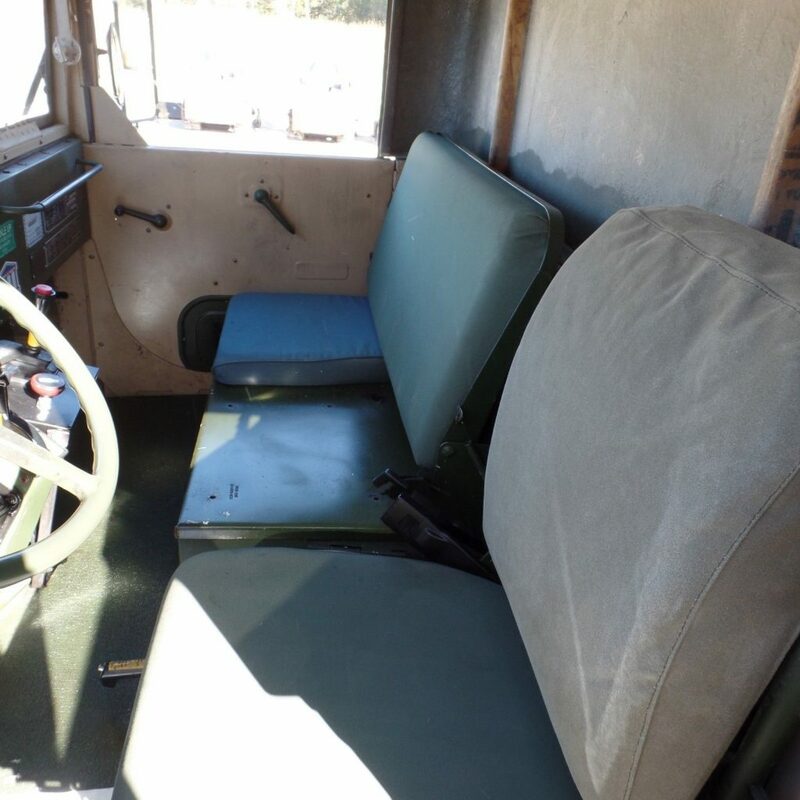 The bed it self is 16 feet long with 44″ sides with slots to install side boards on top.